My name is Richard D. Miller, I live in Hollansburg, Ohio in Darke County. I ran across the neat group of pictures that you had posted on your website as a tour of Union. I never lived in Union or even in West Virginia, but for years and years as a kid and as I grew up, I spent at least a week and sometimes two on our Great Uncle and Aunt’s farm located about a mile and a half south of Union on the right hand side of Willow Bend Road. Their names were Paul and Lela Miller. They had purchased the farm after my great grandfather died. They had two daughter’s Agnes and Mary Sue. Agnes was a nurse at the hospital during the times we visited the farm. Mary Sue was younger and she was in college, but we loved it when she was there. One morning Mary Sue asked my brother and I to come along with her to get the mail. First, we stopped by the orchard and Susie picked a large apple and put it in her pocket and then the three of us plus the dog started walking out the long, long lane to the mailbox. We got there, got the mail, and then Susie said, “ Let’s have a snack.” She produced the apple and with her fingernail, was able to slice into the apple all the way around, then with a twist it broke in half. She then split one half in two pieces for my brother and I to share. As we ate the apple we walked back up the lane to the house. She knew how to deal with two little boys for sure. When I found your pictures I immediately started through them and one of the first ones that I saw was Dale Beckett’s farm… Dale is my cousin. Dale’s grandmother Leona Miller Beckett was a sister to my grandfather, Charles Edgar Miller and she was one of my great aunts. We had visited the Beckett home many times while we were visiting in Union. I immediately hoped that I would find a picture of my Uncle and Aunt’s farm out on Willow Bend Road, but to my disappointment there wasn’t one. During our visits to the farm, they were still farming with a big team of Belgium Draft horses, a mother and daughter team named Pet and Nell. They were very gentle and my brother and I rode them over every inch of that farm, year after year and enjoyed every minute of the rides. When my Uncle Paul was driving over to Gap Mills to have the wheat that they had raised, ground into flour, he would let us ride on the back of the wagon. I loved the big barn and loved being able to help my grandfather and our great Uncle Paul put the loose hay up in the barn for the cows, horses, and sheep for the winter. Pet was always the horse that we would lead back and forth to pull the hay fork up and down. Nell would always stand quietly waiting to be told to bring the empty wagon around so we could hitch Pet back to the wagon and then go back to the hay field. Morgan Clark was a nice young fellow who lived on the next farm south on the Willow Bend Road, and he was always there with a team of his horses to help haul wagons back and forth from the field to the barn. I remember one time when my brother and I were about four and six, Morgan helped us climb up in the loft where we could look down on the stack of hay. He gave us a little shove and we went flying down the haystack. That was so neat!!! Kids now days have no idea of things like that. My Aunt Lela was a wonderful cook and she always had a table full of good food at every meal, with hot biscuits and plenty of butter. They went to church every Sunday and they never had any idea of how many people would be at their house for dinner when they got home. She always had a big meal prepared. She was always oh so gracious and she was one of the sweetest women I have ever known. My Grandfather Charles and Uncle Paul were close, I can remember easily from the time that I was about six or seven years old the two of them sitting at the dining room table after a big meal and they would roll their own smokes using Prince Albert tobacco that came in the red flip top can. They would talk and laugh until it was time to get back to work. Their conversations covered a lot about the crops, the livestock, and of course, the current news. I loved being in the big house, with it’s winding center stairway. On the first floor there was an oh so neat room they called the Parlor, with a piano. I never heard my cousins play it and I don’t know if they did, but it was a special room that wasn’t used much to my knowledge. On the other side of the beautiful stairway, was the living room, behind that was the dining room, then the kitchen. Located behind the kitchen was the cistern room and smoke-house where they hung all of the meat for the winter. I can remember one day that I was there with Aunt Lela, when I was about fourteen, she said that she wanted to butcher chickens. As I remember there were about 30 fryers in one of the sheds on the hill that were ready to butcher. We got started and wanted to finish before Agnes got home from the hospital that day. Aunt Lela and I had gotten all of the chickens killed, picked, dressed, and in the freezer, plus we had the cows milked, the hogs fed, and supper was ready to go on the table. Agnes was so thrilled and Aunt Lela and I both got several hugs and kisses as the result. After Uncle Paul and Agnes had passed away, Aunt Lela sold the farm to the Walker’s to use as a tenant farm and she moved into Union, where we visited with her several times. 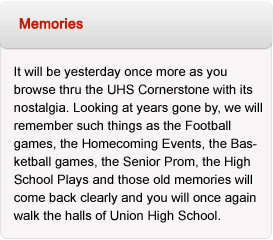 Thank you for letting me share my memories of visiting Union when I was a young boy.